You'll visit kid-friendly attractions like Retiro Park and Royal Palace of Madrid. 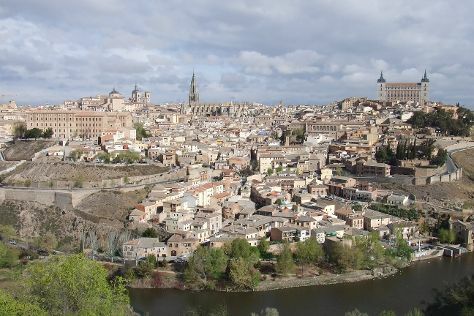 Explore Madrid's surroundings by going to Toledo (Cerveza Domus & Casco Historico de Toledo). There's still lots to do: examine the collection at Prado National Museum, wander the streets of Barrio de Las Letras, and get a taste of the local shopping with Gran Via. To see other places to visit, more things to do, ratings, and more tourist information, read Madrid road trip site . If you are flying in from France, the closest major airport is Adolfo Suárez Madrid–Barajas Airport. Expect a daytime high around 22°C in April, and nighttime lows around 9°C. Wrap up your sightseeing on the 20th (Sat) early enough to take a train back home.